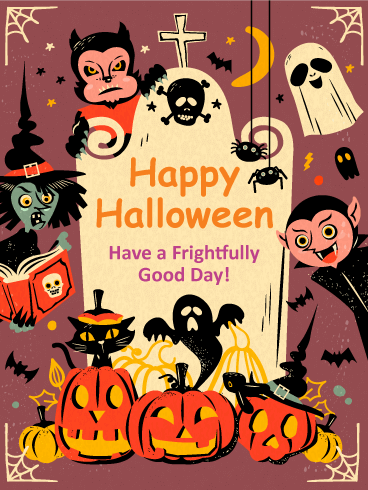 This fantastic happy Halloween card wishes your recipient a Happy Halloween with many of the spooky images of the holiday. 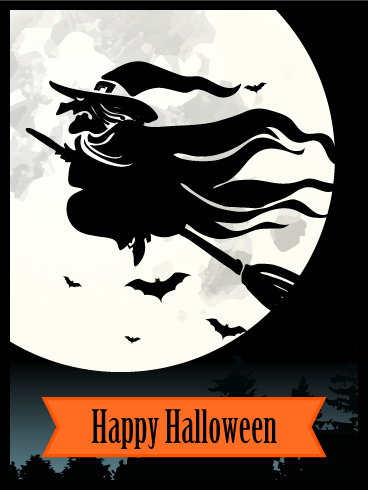 Against the backdrop of a huge golden moon, a witch flies by on her broom while bats swoop. 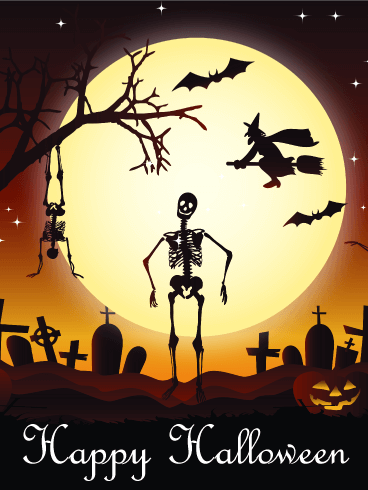 In the eerie graveyard below, one skeleton dances while another swings from a tree branch. 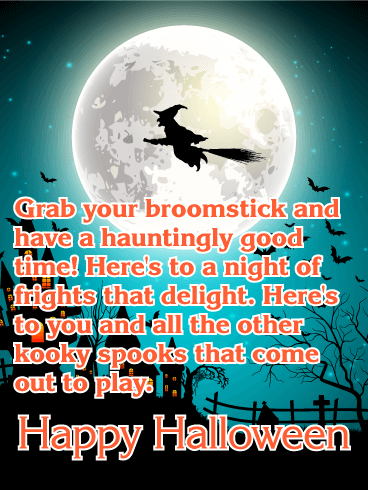 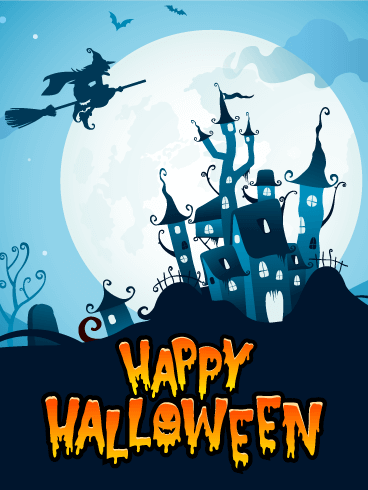 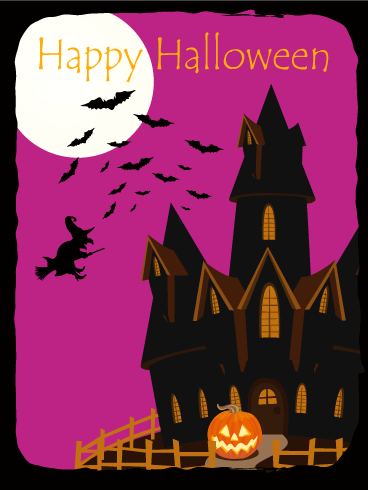 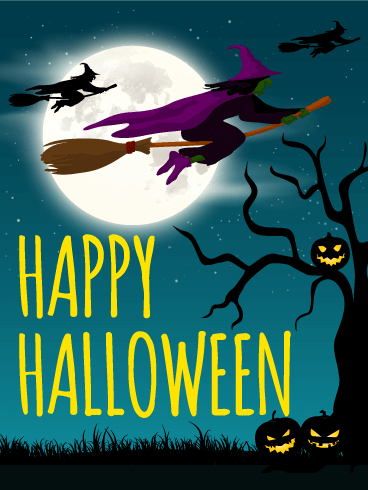 Send this happy Halloween card to bring a shiver of delight to your friends or family members. 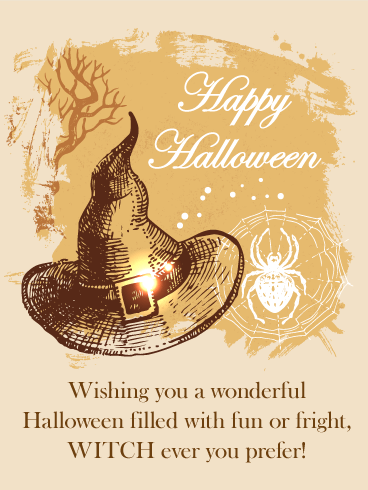 Put a spell on your friends with this witchy Halloween card! 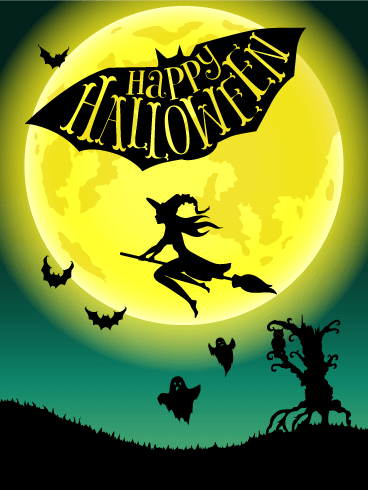 As midnight approaches, witch covens gather to perform rituals guarded by grinning pumpkins. 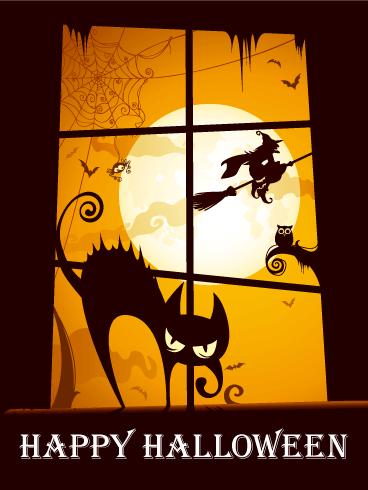 Who knows what spells they weave? 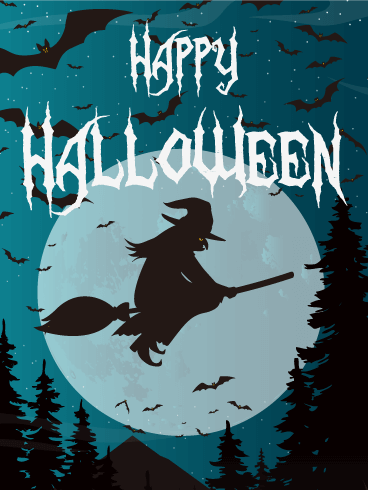 Only that they are powerful and it would be best not to be hit with one. 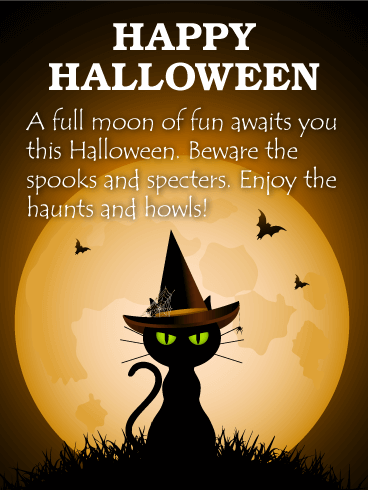 Give your friends a glimpse at the dark side of Halloween with this Halloween card!